A delightful walk round Carsington Water, one of Derbyshire’s most important tourist attractions since it was opened by HM the Queen in 1992. It is an area noted for its wildlife, with a Wildlife Centre and bird hides en route. The reservoir built at a cost of £107 million increased Severn Trent’s raw-water capacity by 10% to meet the growing demand for water in Derbyshire, Nottinghamshire and Leicestershire. Water is first pumped from the River Derwent at Ambergate Pumping Station. It is piped to Carsington Water when the river level is high and stored in the reservoir and released when the river is dry. Severn Trent has planted half a million trees and shrubs in woodlands, copses and hedgerows; the result has been not only to enhance a beautiful landscape, but to create many new habitats for wildlife. 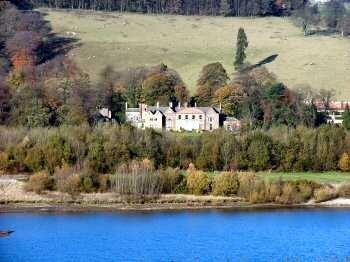 The walk visits the attractive conservation villages of Carsington and Hopton. 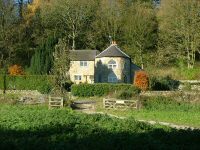 They are inseparably linked and lie in a wooded valley with Carsington Pasture rising steeply to one thousand feet to the west, behind a row of attractive little cottages that line the roadside. 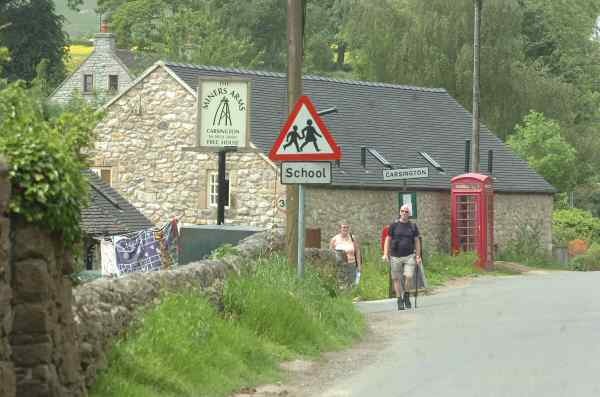 Both villages share the same church and school. The houses in each village almost overlap on the shared narrow road, and they are both in the same parish. Start/Finish: Visitor Centre at Carsington Water. Location: On the south side follow the signs from the A517 Ashbourne to Belper road, and on the north from the B5035 Ashbourne to Wirksworth road. 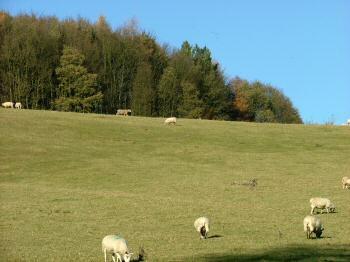 Terrain: Easy relatively level walking on good paths through fields and woodland alongside the reservoir. There is no pavement on the section from Carsington to Hopton. 1. From the Visitor Centre, walk southwards and follow the path past the sailing club, to pick-up footpath signs for Millfields. 2. Continue along the dam wall, at the far end of which you follow the main path to Millfields. Cross the car park, in front of the refreshment kiosk – open on a seasonal basis. 3. Follow the path close to the edge of the reservoir, and after crossing a long footbridge take the footpath on the left with the yellow sign indicator (when there is an option – follow the yellow signs). 4. On reaching a narrow tarmac lane by Upperfields Farm, turn left for a few yards and then right at a gate to follow a path signed for Hopton. 5. The path winds up and down through pasture and woodland, before reaching a gate leading onto the B5035. At this point turn left, with the wall on your right. After 35 yards turn right and cross the road. 6. Follow the path opposite, which leads you up to the road through the village of Hopton. 7. Turn left and follow the road through Hopton to the adjoining village of Carsington. Take care - there is no pavement on this section of the walk. 8. Immediately after passing the Miners Arms Public House, turn left at a fingerpost sign and then left again to walk down the lane at the rear of the pub. 9. Before reaching the school, turn right up a lane and continue straight on when it forks. 10. The lane ends at the B5035, which you cross and follow the path straight ahead for a short distance before bending to the left and then right. 11. Walk across Sheepwash Car Park and follow the distinct path ahead. 12. 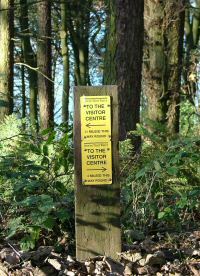 Keep to the main path, close to the reservoir, past Carsington Wildlife Centre, back to the starting point of the walk. Carsington Water Visitor Centre, (Tel. 01629 540696) a great place just to relax by the water’s edge, but do leave time to look round the Visitor centre with its shops and exhibition area. The more adventurous can hire a sailing dinghy, or a mountain bike. 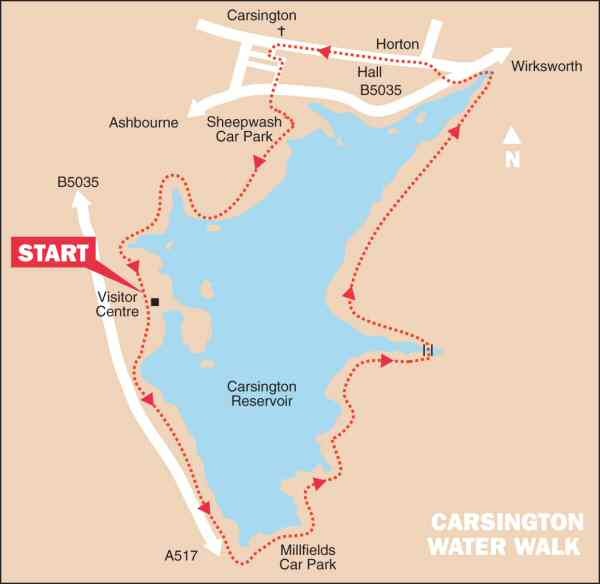 Alternatively, if you have plenty of energy left, why not walk the seven miles or so round the reservoir? Open daily all year. Wirksworth Heritage Centre, (Tel. 01629 875225) where the ‘Wirksworth Story’ is told, taking you on a fascinating journey through time on three floors of the centre. The special displays are excellent and for something different you can always try a computer game. Telephone for further information. North End Mills, (Tel. 01629 824731) is one of the largest factory shops in the country which sells clothes. Visitors to the Mills can still see hosiery being made, have a coffee and admire the display of old photographs of Wirksworth. Open 7 days a week. Miners Arms (Tel. 01629 540207) was a popular pub for lead miners in the 1700s. This cosy little pub serves good homemade food daily. Open every day at lunchtime and in the evenings, apart from on Monday evenings in the winter. Food served lunchtime and evenings, apart from Mondays in the winter. Open all day Sunday in the summer. Outside there is a beer garden and mini-adventure playground. Carsington Water Tea Rooms (Tel. 01629 540363) there is a restaurant and tea rooms on the first floor of the visitor centre. There is also an outdoor food facility in the Courtyard. Open daily all year. 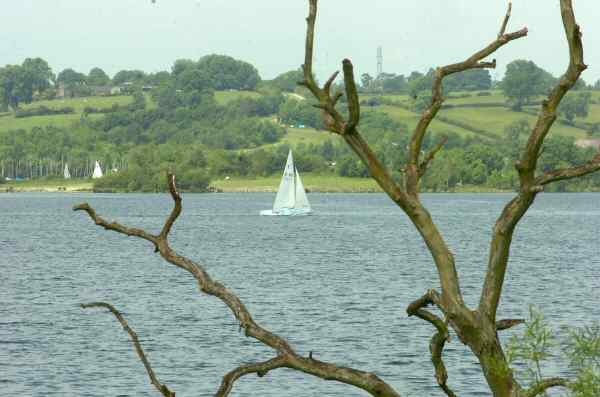 The earliest occupation of the valley, now filled by Carsington Reservoir, dates back to around 2000 BC. Evidence of this was found by archaeologists when they discovered human remains, flints and knives from a Bronze Age burial mound, during a dig near where the Carsington Visitor Centre is now located. Two Roman sites were also found, prior to the reservoir being built, one where lead working had been carried out.